What is a Wish Penny ? 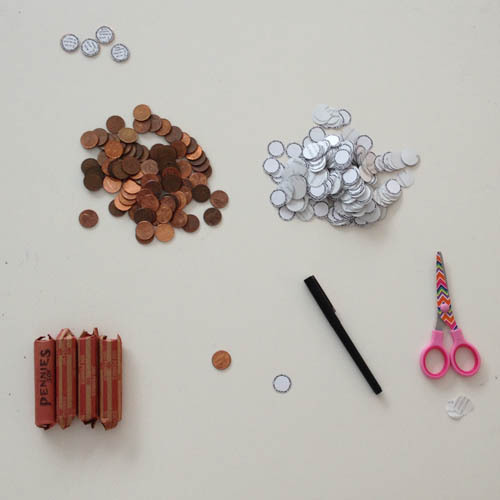 Jennifer Weigel created Wishes, the Penny Project, to get people thinking about their own needs and desires while encouraging them to actively participate in the world around them. She first began dispensing wishes in 2008. Writing down personal wants and desires and tossing them away can be very cathartic. Go ahead and write or draw a wish of your own and attach it to a penny. You are welcome to release your wish to the universe by placing it penny-side-up for another person to find, or keep as a memento. 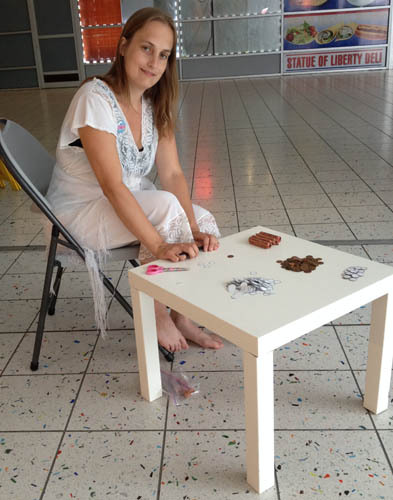 At the Day de Dada “Wish Show” at the Culture Lounge on August 8, 2015 Jennifer set up a table and helped people create Wish Pennies to be kept, given away or left for someone to find. This project is offered in tandem with the 11 Million Hands Project. You are invited to participate by photographing your wish penny in your hand(s) and posting it to their Facebook page with the hashtag #11millionhands.